Does A Baseball Player's Race Affect The Value Of His Card? 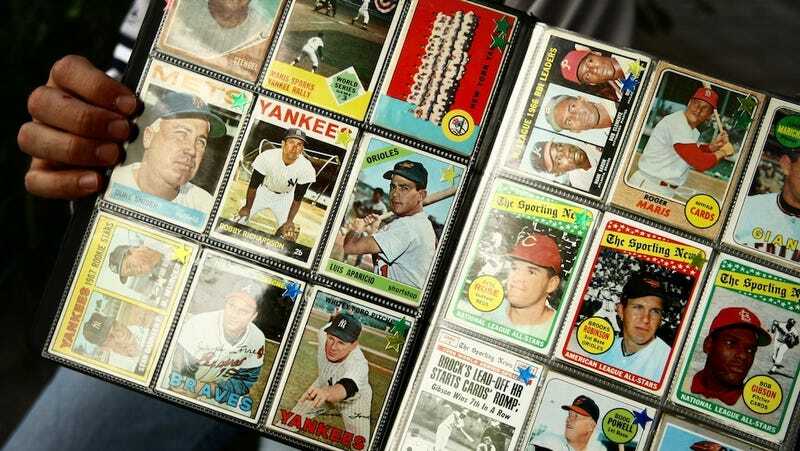 Is a baseball card worth more money if the player on it is white? Perhaps! On this week's excerpt from Slate's Hang up and Listen podcast, Mike Pesca runs through the many studies have been done on the subject of racial bias and baseball card values, many of which posit that racism has long driven down the value of cards depicting minority players.